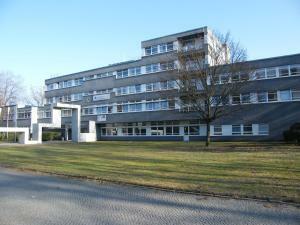 This modern hotel is located beside the Potsdamer Platz entertainment district in the centre of Berlin. 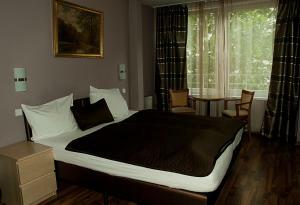 The spacious rooms at the Scandic Hotel Potsdamer Platz feature a contemporary Scandinavian design. Every room has French windows, wooden floors, an armchair and a stylish bathroom with bath or shower. Bicycles and Nordic walking sticks can be borrowed at reception. 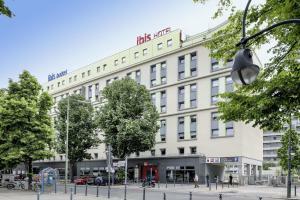 Holiday Inn Express Berlin City Centre price per day from €74 This 3-star superior hotel offers air-conditioned rooms and excellent public transport links throughout Berlin. The Potsdamer Platz entertainment district and Checkpoint Charlie are only a 12-minute walk away. Renovated in 2013, the bright and spacious rooms at the Holiday Inn Express Berlin City Centre feature satellite TV, a tea/coffee maker and a modern bathroom. A rich buffet breakfast is included in the reservation. The Ritz-Carlton, Berlin price per day from €173 This 5-star hotel at Berlin’s Potsdamer Platz Square features a luxury spa with pool. 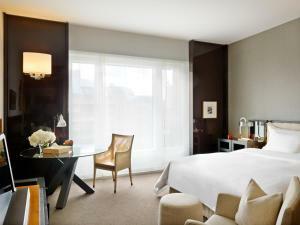 High-quality bedding and classical décor are featured in The Ritz-Carlton, Berlin’s rooms, which offer views of Potsdamer Platz or Tiergarten Park. The en suite bathrooms have heated flooring, and a free bottle of water is provided. The Ritz-Carlton, Berlin's wellness area features an indoor pool with a sparkling crystal ceiling, a sauna, hot tub and fitness centre. 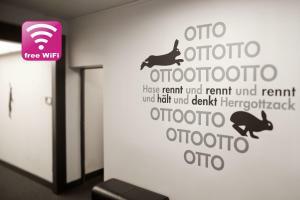 Scandic Berlin Potsdamer Platz price per day from €72 This modern hotel is located beside the Potsdamer Platz entertainment district in the centre of Berlin. 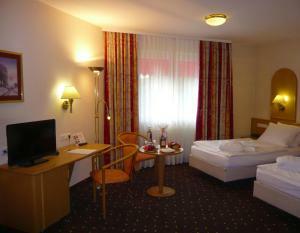 The spacious rooms at the Scandic Hotel Potsdamer Platz feature a contemporary Scandinavian design. Every room has French windows, wooden floors, an armchair and a stylish bathroom with bath or shower. Bicycles and Nordic walking sticks can be borrowed at reception. Restaurant Caffe e Gelato, Berlin Guest reviews: 9,4/10 ~ 0,4 km from Scandic Berlin Potsdamer Platz Address: Alte Potsdamer Str. 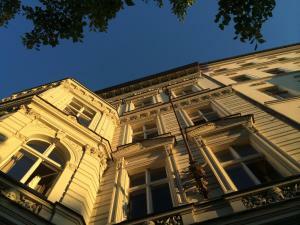 7, 10785, Berlin. Cuisine: Ice Cream. Restaurant FACIL, Berlin Guest reviews: 9/10 ~ 0,5 km from Scandic Berlin Potsdamer Platz Address: Potsdamer Strasse 3, 10785, Berlin. Cuisine: Eclectic, International. 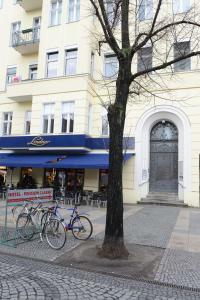 Restaurant Centolire, Berlin Guest reviews: 9/10 ~ 0,8 km from Scandic Berlin Potsdamer Platz Address: Leipziger Strasse 128, 10117, Berlin. Cuisine: Italian. Restaurant Lorenz Adlon, Berlin Guest reviews: 9,4/10 ~ 1,3 km from Scandic Berlin Potsdamer Platz Address: Unter den Linden 77 (Hotel Adlon Kempinski), 10117, Berlin. Restaurant Fassbender-Rausch, Berlin Guest reviews: 9/10 ~ 1,4 km from Scandic Berlin Potsdamer Platz Address: Charlottenstrasse 60, 10117, Berlin. Cuisine: Café.